As Ed Sagmeister, 78, prepares to take his grandson to a Padres game in San Diego, he reminisced about growing up with the NY Giants. 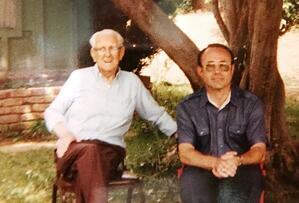 Ed’s dad Frank, an Austrian immigrant, started a 60-year career with the Giants in 1930. Frank was in charge of changing light bulbs at The Polo Grounds in New York City. Frank worked his way up to park superintendent. In 1958 when the baseball team became the SF Giants, Frank and his only son Ed moved to San Francisco. Frank helped coordinate the building of Candlestick Park. 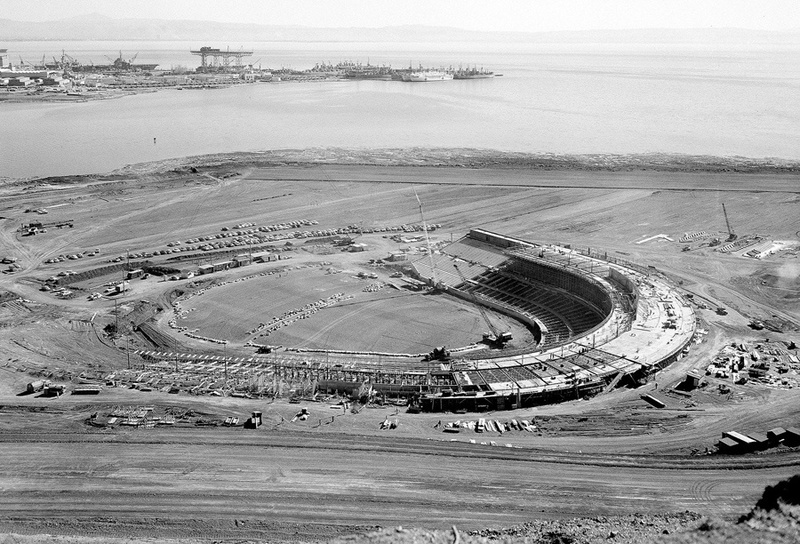 Candlestick Park in San Francisco California under construction in 1958. While studying finance on a scholarship at the University of San Francisco, Ed worked as the scoreboard keeper at Candlestick Park. “The pay was pretty sound. $20 a ball game and all the beer you wanted,” recounted Ed. The rumors of wild Friday night scoreboard parties and the “stealing” of opposing team signals are (slightly) overstated. 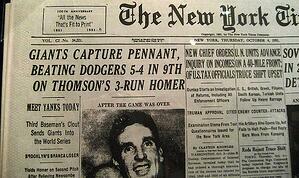 Giants Bobby Thomson hit a line drive into the lower deck. It was a home run and the crowd went crazy. The winning score was 5 to 4. The Giants win the pennant. Frank got his bonus and the Sagmeisters had turkey dinner on Thanksgiving. 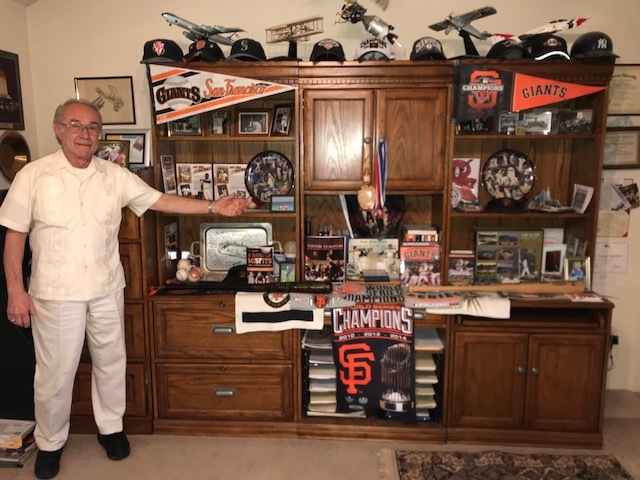 Frank had collected 60 years of memorabilia including Bobby Thomson’s warm up jacket and a collection of silk ties gifted from Lorraine Day, the actress wife of Manager Leo Durocher. He also received something of priceless value: A lifetime pass for any game, anywhere, anytime -- including the World Series. Ed (right), an only child, inherited his father’s lifetime pass and continues to use it to share his love of baseball with his grandchildren. Ed and his wife Anne moved to Altavita Village in 2005 and continue to enjoy life at the community in Riverside, California. For more information about this Continuing Care Retirement Community (CCRC) visit livealtavita.org. Altavita Village, a CCRC (also known as a Life Plan Community), offers a tiered approach to the aging process, accommodating residents’ changing needs. Upon entering, healthy adults can reside independently in single-family homes, apartments or duplexes. When assistance with everyday activities becomes necessary, Altavita Village residents can move into the level of care that best suits their needs. This can provide a great level of comfort to both you and your family and provides you with the security of knowing that if you need assisted living, memory care, rehab services or skilled nursing care at some point in the future, you won’t have to move to another community.